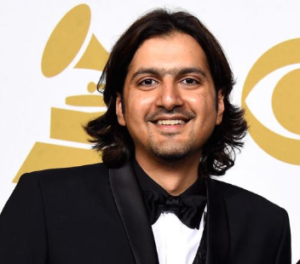 Grammy® Award Winner and US Billboard #1 artist Ricky Kej is an internationally renowned Indian Music Composer, Environmentalist and Professor. Ricky Kej composed and produced his latest album ‘SHANTI SAMSARA’, which was launched by Indian Prime Minister Narendra Modi and French President Francois Hollande in the presence of World Leaders at the United Nations COP21 Climate Change Conference in Paris. For Shanti Samsara, Ricky collaborated with over 500 musicians in over 40 countries, all coming together for Environmental Consciousness. Ricky went on to performing music from this album twice at the United Nations General Assembly, NY among other prestigious venues all over the world. Ricky has been awarded the United Nations “Global Humanitarian Artist”. Among other awards to his credit, he has also won Producer of the year at the South African Music Awards (S.Africa), Album of the year at the Zone Music Awards (New Orleans), Global Indian Music Award and Mirchi Music Awards (India), Centre for Conscious Creativity ‘FutureVision’ Award (Los Angeles). Ricky is also conferred with the title “Pride of Karnataka” and “Youth Icon of India”. Real Leaders, a Signatory to the United Nations has named Ricky Kej as one of the 100 Real Leaders who ‘Inspire the Future’ along side greats like Bill Gates, Leonardo Dicaprio, Angelina Jolie and others. The House of Commons, Parliament of Canada recently awarded Ricky for his “Outstanding Musical and Humanitarian Achievement”. Ricky Kej a Conservationist and Environmentalist, is a professor at the prestigious National Institute of advanced Studies (at the Indian Institute of Science) and an Ambassador to Earth Day Network.